Milk Carton on a String brings Haiti to the Ritz Theater in Brunswick, Georgia every July with a night of music, dance, art and film. Performing artists come from all over the world to bring awareness and share the heart of Milk Carton on a String, resulting in a night to be remembered. Some of last year's performers included Daniel Fears, Catherine Colon, Josiah Furcinitti, Carlos Daniel Figueroa Guzman, Philip Slocki, and Paige Fraser. Next year's performers are to be announced! 100% of the proceeds go directly to Creative/Performing Arts Education in Haiti. Milk Carton on a String comes to Brunswick, Georgia, bringing world-class dance training to students ages 7+ for a week in July. Students will take classes in ballet, jazz, hip-hop, modern, and contemporary from dance teachers working at the top of their field. Along with world-class dance training, the Summer Dance Intensive also offers Haitian Culture/Poverty Awareness classes. All participants will also have the opportunity to dance alongside industry professionals and musicians in the Milk Carton on a String Arts Benefit at the Ritz Theater. 100% of the proceeds go directly to Creative/Performing Arts Education in Haiti. Past dance teachers have included Sasha de Sola, principal dancer with the San Francisco Ballet; Catherine Colon, Dancer/Choreographer with Hillsong Dance Australia; and Philip Slocki, Dancer with Texas Ballet Theater. 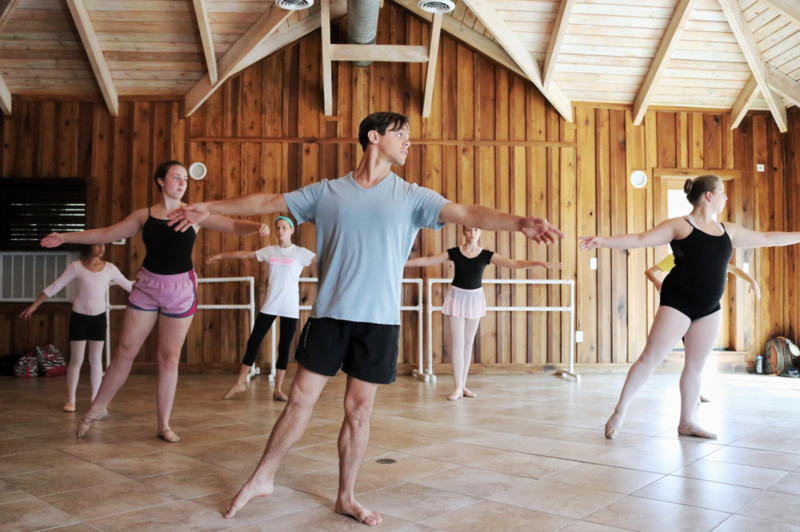 Teachers for the 2019 intensive are to be announced. The sooner you apply, the lower the rate! Studio rates available for 10 or more participants. Apply online at https://www.surverymonkey.com/r/mcoasdanceintensiveapp or contact Lynn Poppell at lynn@milkcartononastring.com or 912-223-4480 for more information.